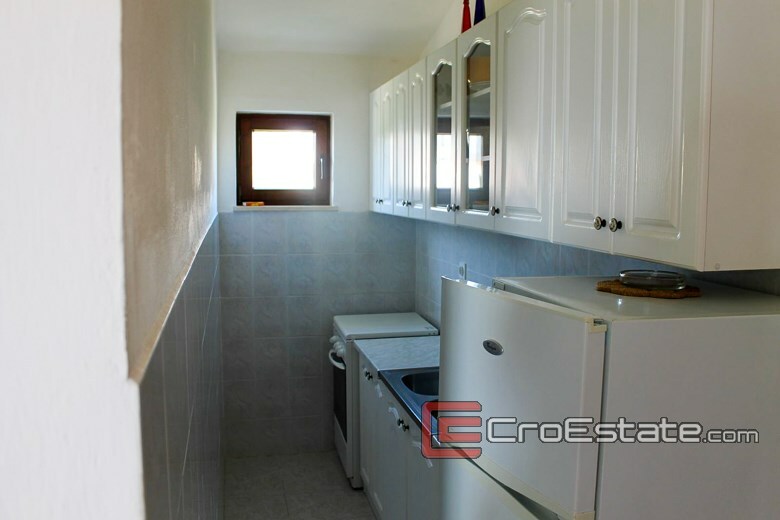 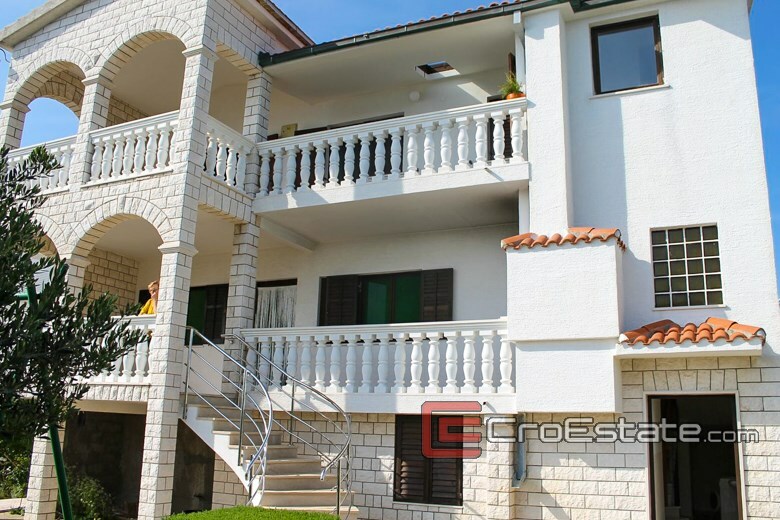 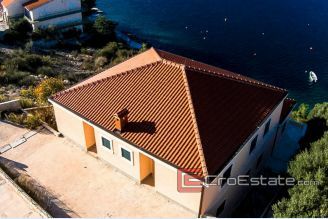 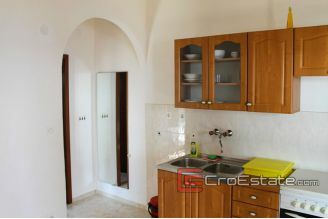 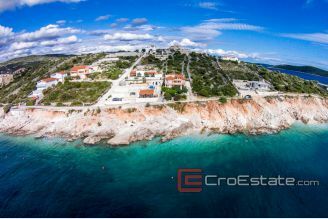 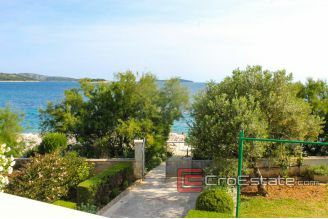 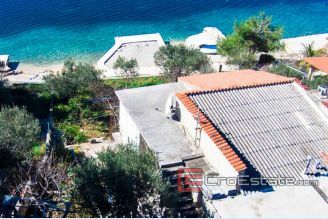 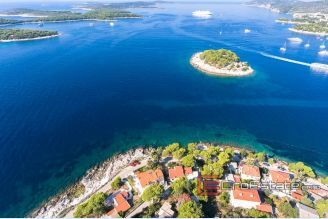 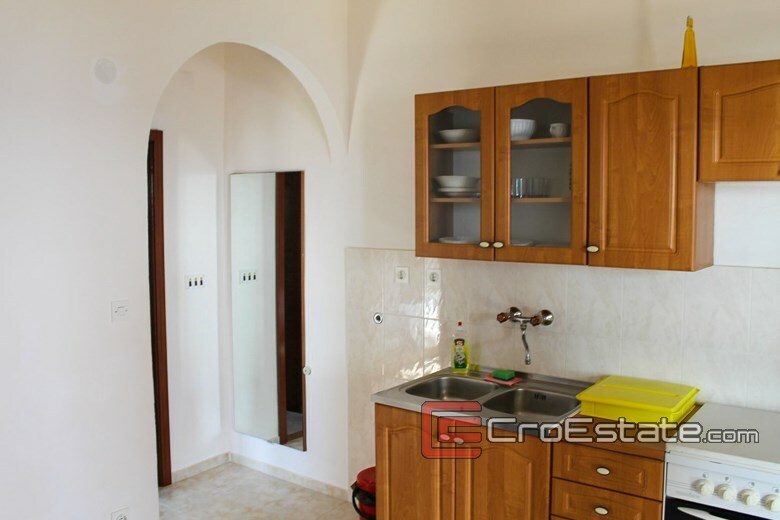 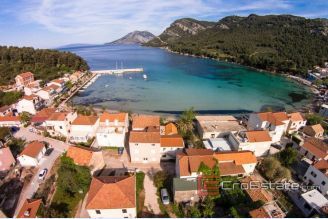 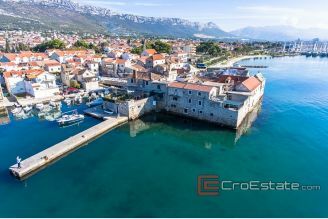 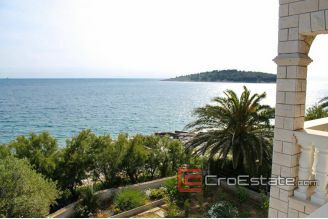 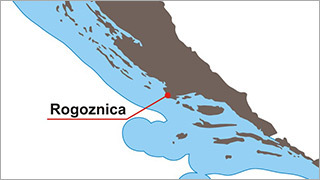 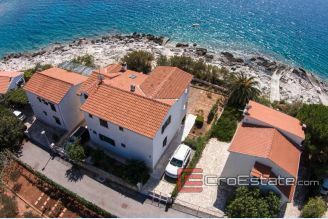 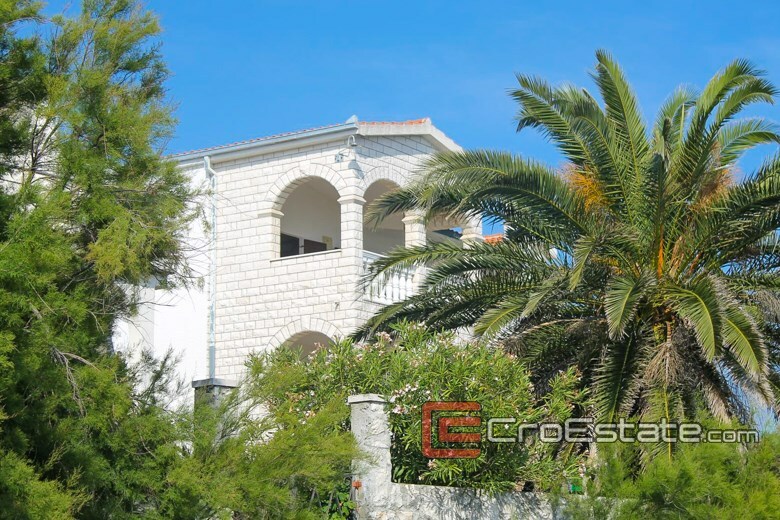 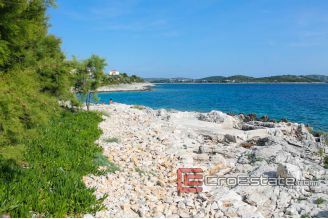 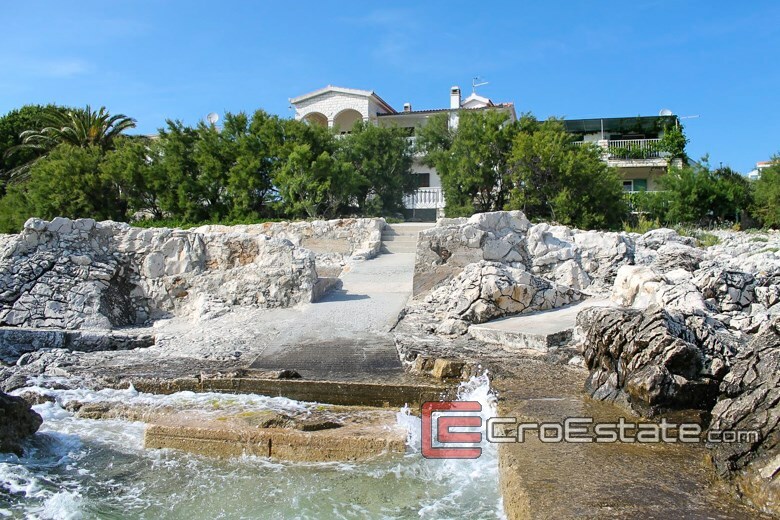 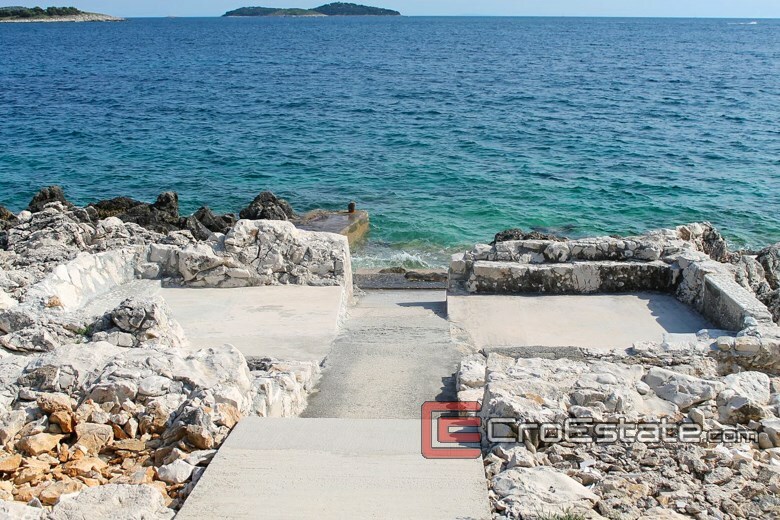 This charming house with a beautiful view, located in an attractive location, first row to the sea, the area of ​​Rogoznica. It was built on a plot of 440 m2, spread on three floors with a total of 230 m2 of living space and two spacious terraces that offer stunning views of the sea. 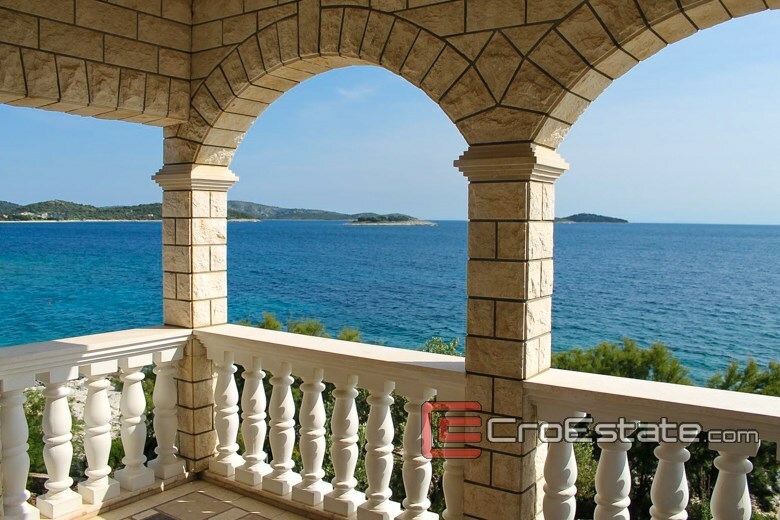 They are ideal for relaxing during the hot summer afternoons. 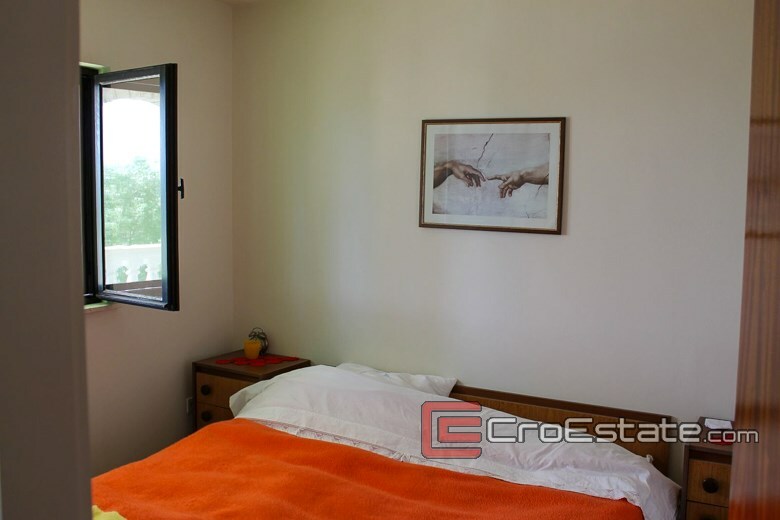 The basement has a wine cellar and storage room, on the ground floor is located two-bedroom apartment with a large living room and a large balcony. 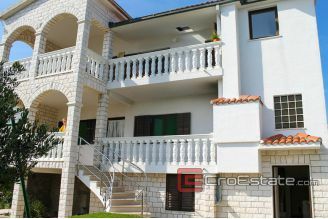 On the first floor, which has a separate staircase, there are two-bedroom apartments with their respective loggias. 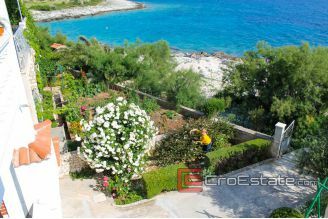 The garden is cultivated and decorated with flowers, medicinal plants, bushes, trees that offers the atmosphere of the Mediterranean with cool air on hot days. 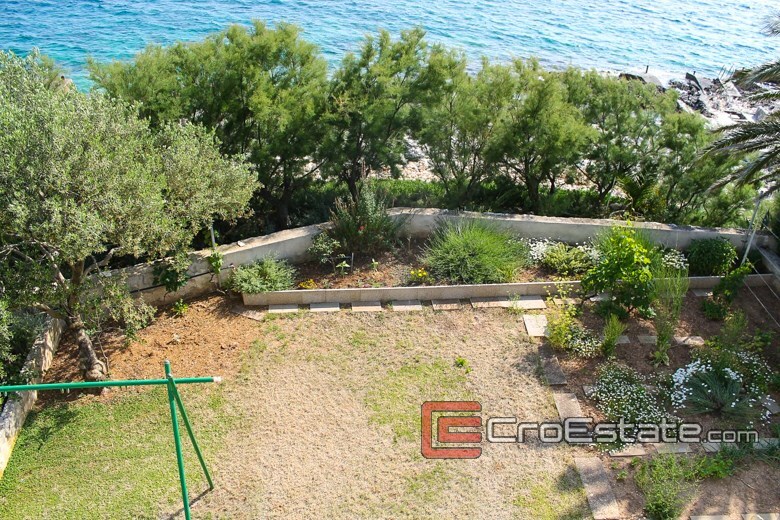 The great advantage of this house is its unique location, just a few steps from the sea with direct access to the beach from the garden. The house has a berth and two parking spaces.